Bathroom lighting involves lots of considerations. It may not seem essential to put a lot of thought into it at first glance, but your bathroom is, in fact, one of the most important rooms of your home. We spend plenty of time getting ready in front of a mirror, so it is important to have natural, well lit areas without being over imposing and washing out skin tone. Sometimes we go to the restroom in the middle of the night, and transitioning from the dark to sudden light can be aggravating on our eyes. It is important to take lots of considerations when choosing proper bathroom lighting. Here are some tips. Sizing: Your bath bar lighting fixture should not exceed the width of the mirror or vanity cabinet it is placed above. Prevent shadows: Your bathroom should have full lighting when you look in the mirror, for an adequate view of your reflection. In addition to the overhead light, add side sconces or another light closer to the ceiling to reduce shadows below and across the face. Add a personalized touch with some decorative shades, wall scones, a large pendant, or even a simple chandelier. Consider the natural lighting when designing your layered lighting. If your bathroom has skylights or large windows, you do not need as many layers compared to a bathroom with low natural lighting. This will prevent a washed out complexion when looking in the mirror. Love it Lighting has a wide variety of lighting fixtures ideal for your bathroom. We have options for bathrooms with low natural light, lots of natural light, and everywhere in between. Browse through our catalog to see what we can do to make your bathroom lighting the best. This entry was posted in Bath on April 30, 2014 by Nixon. Looking for a light source that is as diverse as it is sleek, Love IT Lighting is the place to satisfy your designer taste. This fixture is an original. We can adapt it to accommodate multiple light sources. For example, this fixture can be redesigned to have, both, a light source directed up towards the sky and another directed downward to highlight the ground. Its sturdy all aluminum construction can withstand all of the seasons. Tested just off the Great South Bay in Long Island, NY, it can withstand every type of weather; high winds, rain, snow and bright sunshine. It is shown here mounted on the wall but with a little imagination and creativity its uses multiply as it can be adapted to sit on top of a pole or to illuminate an intimate dining booth, provide gentle light as a bathroom wall sconce and/or efficient hallway light to guide you throughout your home. It’s implications are, both, commercial and residential. You can close off either end of the fixture directing the light to suit your individual needs. Whether you’re looking for ambience or practicality Love IT Lighting is all about making your online lighting shopping experience a positive one. This fixture comes in 29 vivid and professional powder-coated colors at no additional cost. We, also, have the capability to provide it to you with an LED light source as well as standard incandescent, metal halide and/or fluorescent light. 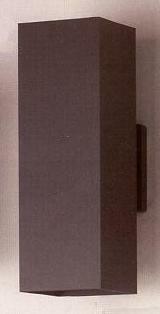 This unique rectangular design may be hard to find, but we have it right here at Love IT Lighting’s online store. Stop by today. This entry was posted in Bath, Cast Aluminum Wall Mount, Commercial Lighting, Hallway, Home Design, Industrial Residential or Commercial Lighting, LoveITLighting, Post Light, Powder Coated Lighting, Residential Lighting, Wall Sconce on November 8, 2013 by Joanne. Whether you are looking for a small globe to light up a hallway or a massive globe to provide the perfect lighting for a party, Love IT Lighting is your online lighting store. We provide a wide and diverse selection of globes; glass, polyethylene, acrylic and superlex™. With a wall bracket, our 8 inch globe can easily light up a dim outdoor walkway or path providing just the right amount of light to get you safely home. Our pendant globes provide the perfect complement for hanging over a kitchen island or your favorite reading spot in the den. 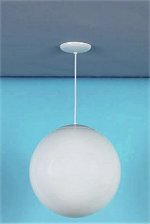 Our larger pendant globes are perfect when placed in a hallway, entranceway, restaurant and/or industrial space. 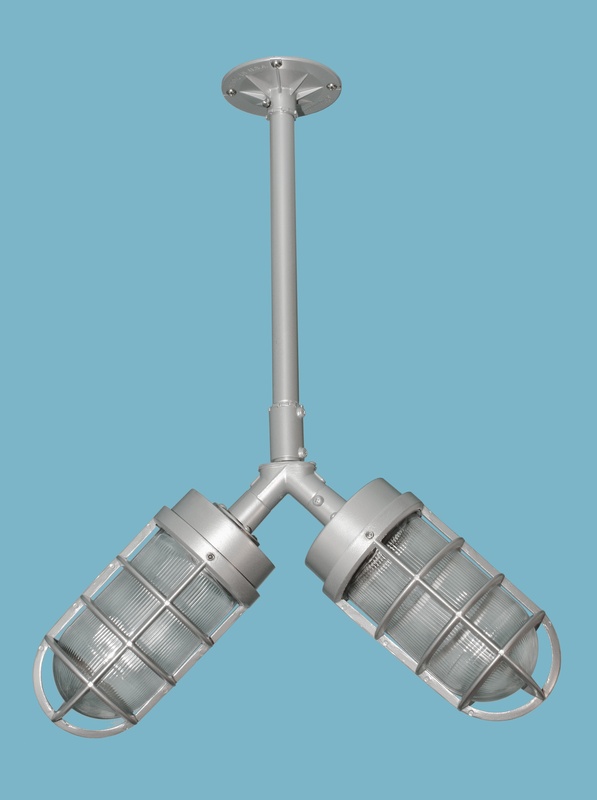 Our post light globes around a swimming pool or lighting a mall parking lot are equal to none. They provide a brilliant light source making you feel secure wherever you may be. At Love IT Lighting we continue to strive to meet all your global needs. We have a large selection of replacement globes and have the ability to customize the replacement globe to fit any holder. We are the best one-stop shopping online lighting store around. Certainly if you are looking for globes, look no further than Love IT Lighting. This entry was posted in Commercial Lighting, Globes, Home Design, Industrial Residential or Commercial Lighting, LoveITLighting, Residential Lighting on November 5, 2013 by Joanne. for its use are tremendous. Choose from 29 powder coated colors at no additional charge. Also new to our catalog are vintage style jelly jars available in a variety of colors including, but not limited to, prismatic glass, prismatic frosted glass, blue glass and amber glass. With a ceiling or wall mount our jelly jars are an attractive addition to any room. As always we have something for every palette; pendants, wall lights and flush ceiling lights. You can choose any of these fixtures with 1 to 6 lights. At Love It Lighting the many choices you have are what sets us apart from our peers. Light up the new season with a choice from our New Vintage Collection. 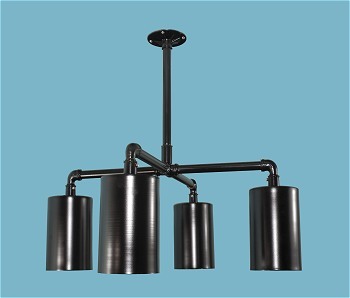 This entry was posted in Commercial Lighting, Home Design, Industrial Residential or Commercial Lighting, LoveITLighting, Powder Coated Lighting, Prismatic Lighting, Residential Lighting on October 30, 2013 by Joanne.